TARPON FISHING CHARTERS WITH THE SILVER KING!! 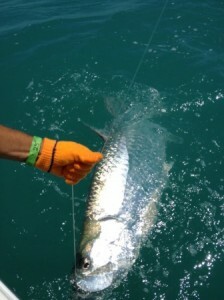 Tarpon fishing charters start in the spring. When the water temperature approaches 80 it’s game on. Some fish will start to be caught in April and earlier if it is mild. Typically it does not get into full swing till the middle or end of April. Sea Reed Charters likes to start scheduling our trips at the middle or end of Apri. These fish are migrating in large number from the south to the north and will mostly be out of the area by July. They will head back through and give us another window of opportunity in August and September. 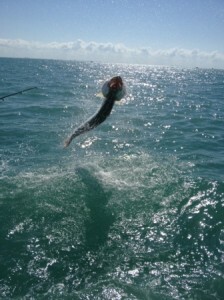 Tarpon are very acrobatic and known for there jumps and leaps. These fish range from 60 pounds all the way up to 200 pounds and provide adrenaline filled battles. When the tarpon are active they must come to the surface and fill there air bladder. This is one of the reasons the fight last so long. They will gulp air when they tire and re-energize. When you spot the tarpon rolling on the surface, approach the school and cast into them. Try and cut them off so you don’t run the school over. It is definitely a hunt for a special fish. Captain Clarence Reed is guided by his experience and helpful instruction. If you have been dreaming of Tarpon fishing, why not call Sea Reed Charters. Book your tarpon fishing charter for the upcoming season. 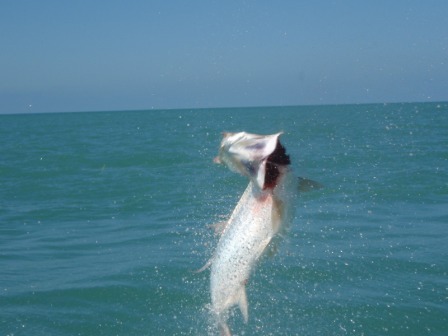 To avoid disappointment be sure and book your trip early for tarpon season. 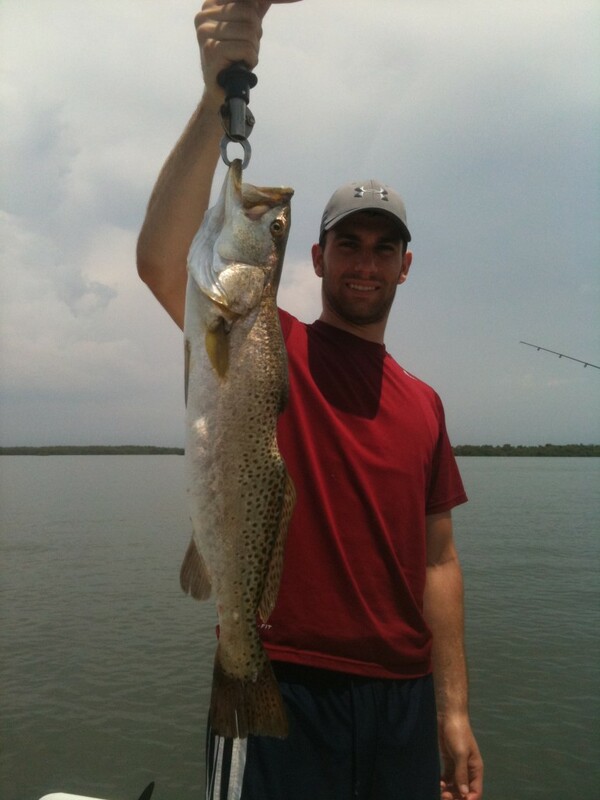 Charters fill up quickly in season. Book early to ensure your date is reserved!